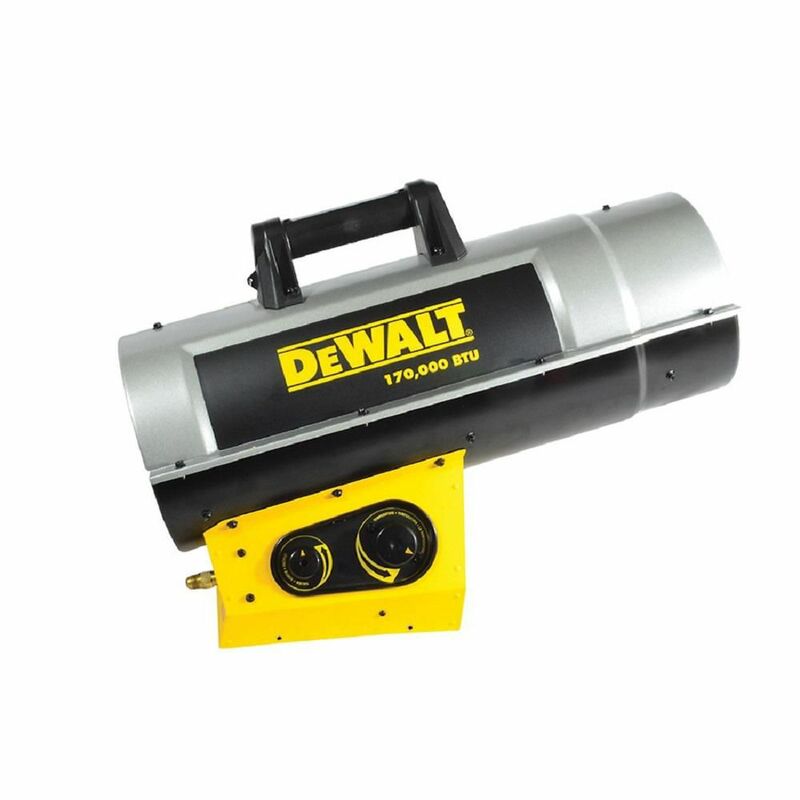 DEWALT<sup></sup> industrial forced air propane heaters, are construction-grade quality built for the Canadian winter. They're manufactured with a rugged two-piece barrel, ergonomic handle, and engineered with Quiet Burner Technology (model 125 and higher). They're typically used for workshops, barns, job sites, and home remodelling. CSA approved, and tested on the jobsite, they're Guaranteed Tough. The DH2400S convection style heater is a popular choice. The no lift heater chamber minimizes startup odor when lighting the unit. This kerosene heater projects a powerful 23,800 BTU's of heat in a 360 degree radius to heat a large area. Also great for winter power outages and emergency situations as it provides both heat and light. The Dyna-Glo Delux LP Forced Air Heater provides the heat you need, when you need it, and where you want it. Hose and regulator assembly are included with all liquid propane units (LP tank sold separately). Thermostat, and easy connect hose & regulator assembly available on select models. The Dyna-Glo Pro 30K BTU radiant tank top heater, is designed to disperse heat on concentrated areas, and the radiant heat is not affected by external elements such as wind. It heats up to a 25 foot radius for 28-48 hours (1burner lit) or 14-24 hours (2 burners lit) on a 20 lb tank. It features manual ignition, variable heat settings, and a safety tip switch. Forced Air Propane Heater 170,000 Btu F340730 DEWALT<sup></sup> industrial forced air propane heaters, are construction-grade quality built for the Canadian winter. They're manufactured with a rugged two-piece barrel, ergonomic handle, and engineered with Quiet Burner Technology (model 125 and higher). They're typically used for workshops, barns, job sites, and home remodelling. CSA approved, and tested on the jobsite, they're Guaranteed Tough. Forced Air Propane Heater 170,000 Btu F340730 is rated 5.0 out of 5 by 2.